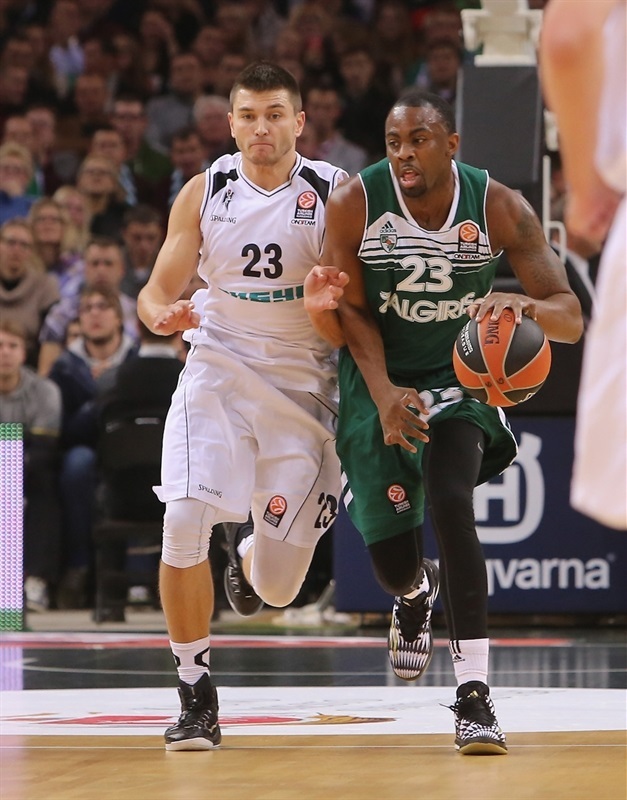 Zalgiris Kaunas registered its first win in Group A by overwhelming Nizhny Novgorod 97-63 at home on Friday. Both teams are now tied in Group A, each with a 1-1 record. Paulius Jankunas led the winners with 13 points. Robertas Javtokas, Darius Songaila and James Anderson each added 12, Vaidas Kariniauskas got 11 while Arturas Gudaitis had 10 for Zalgiris. The 97 points scored marked the most in a regulation game in Zalgiris history. 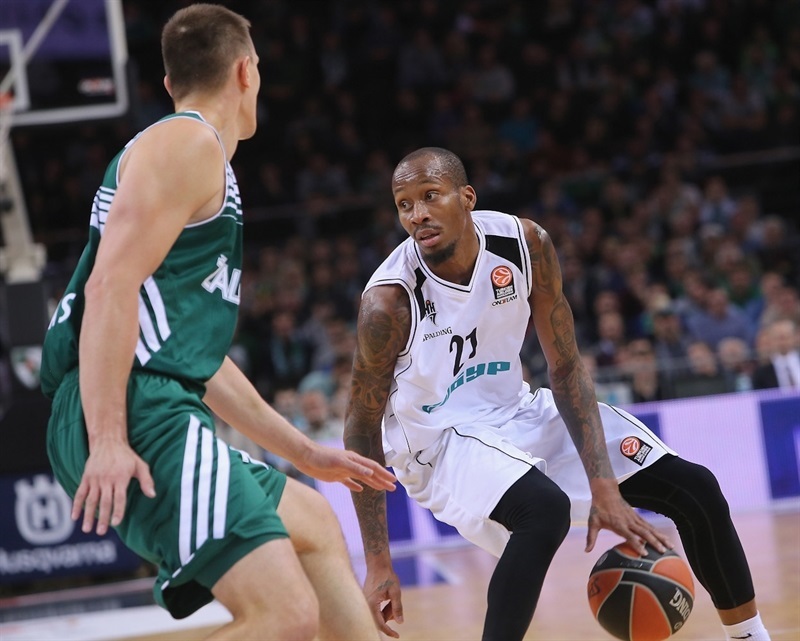 A mid-range jumper by Tarence Kinsey gave Nizhny its last lead, 4-5. 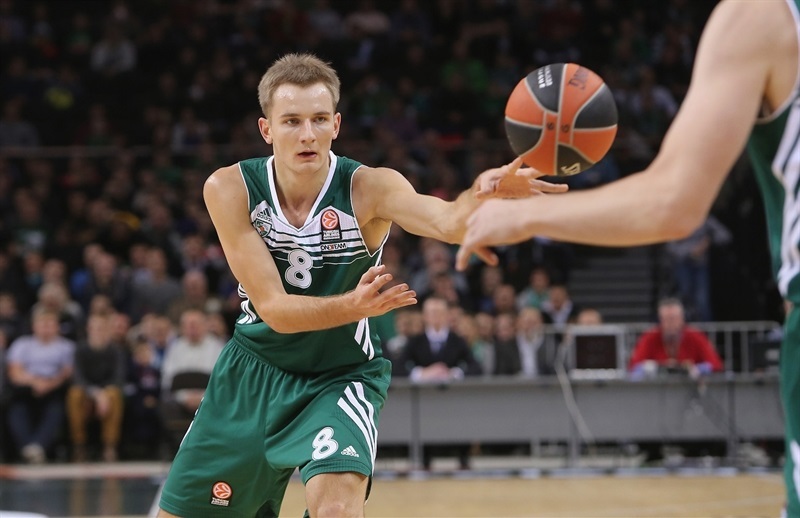 An 8-0 run that Kariniauskas capped with a layup put Zalgiris ahead for good, 12-5. Nizhny got within 19-17 on a layup by Will Daniels but Javtokas and Jankunas fueled a mammoth 19-2 run that broke the game open, 38-19, late in the first half. Back-to-back three-point plays by Jankunas and consecutive baskets by Javtokas gave Zalgiris a 48-24 edge at halftime. Kinsey and Trey Thompkins managed to bring Nizhny within 52-38 soon after the break, but an outstanding Vytenis Lipkevicius led a 23-2 run that sealed the outcome, 75-40, late in the third quarter. Nothing changed in the final 10 minutes, as Zalgiris had plenty of time to celebrate a big win. Anderson got Zalgiris going with a driving layup, but Art Parakhouski split free throws and added a big basket in the low post for a 2-3 Nizhny edge. Jankunas shined with a driving layup that Tarence Kinsey matched with a mid-range jumper. Anderson continued pushing Zalgiris with another basket and Arturas Gudaitis added a put-back layup for an 8-5 lead. Darius Songaila hit a jumper that Vaidas Kariniauskas followed with a layup off a steal for a 7-points Zalgiris lead after an 8-0 run. Parakhouski scored around the basket, but Anderson did better with a three-pointer. After Kinsey split free throws, Songaila scored again. A three-pointer by Trey Thompkins gave Nizhny hope at 17-11. Will Daniels made foul shots and Taylor Rochestie erased Javtokas's basket with a floating jumper. Daniels shined with a backdoor layup, but a driving basket by Arturas Milaknis and a jump hook by Songaila gave Zalgiris a 23-17 margin after 10 minutes. Both teams struggled to score early in the quarter until Javtokas took over with his trademark old-school hook shot. 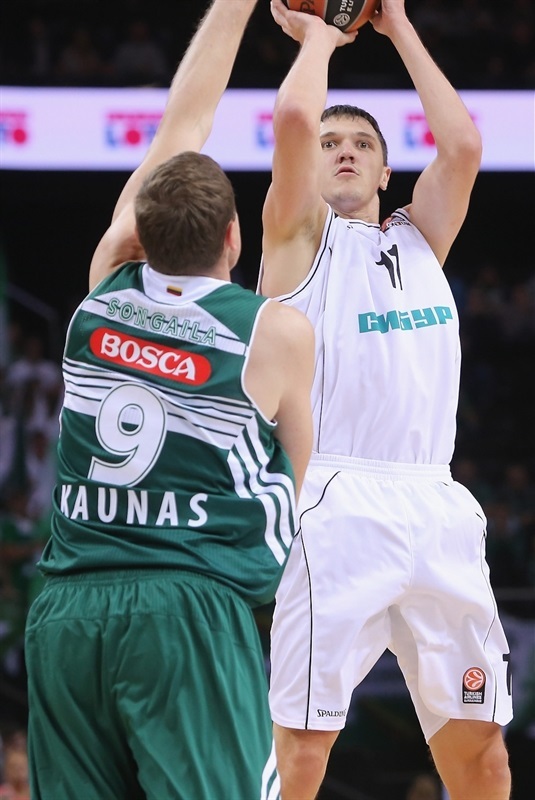 Javtokas kept pacing Zalgiris with free throws that made it a double-digit game, 27-17. After Rochestie banked in a fallaway jumper, Gudaitis split free throws and a three-pointer by Jankunas ignited the crowd at 31-19. Jankunas scored in the low post to force Nizhny to call timeout at 33-19. The guests kept struggling to score and a two-handed dunk by Gudaitis broke the game open, 35-19. Edgaras Ulanovas split free throws and a driving layup by Kariniauskas made it a 19-point game after an 11-0 run. Nizhny was held scoreless for five minutes until Dimitriy Khvostov hit a mid-range jumper. Vladimir Ivlev scored down low, but back-to-back three-point plays by Jankunas boosted the hosts' lead to 44-23. 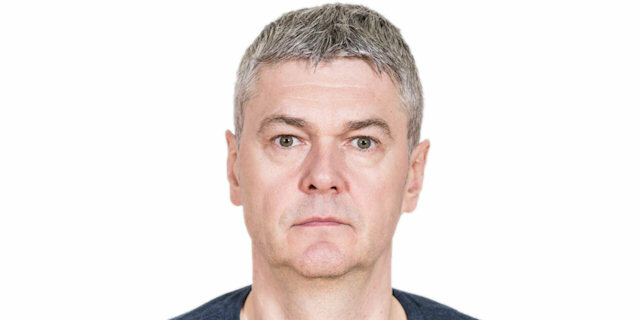 Javtokas singlehandedly gave Zalgiris a 48-24 halftime margin. Parakhouski made free throws immediately after the break and soon added a mid-range jumper to trim the Nizhny deficit to 20. Rochestie struck from downtown and make Zalgirised call timeout at 48-31. 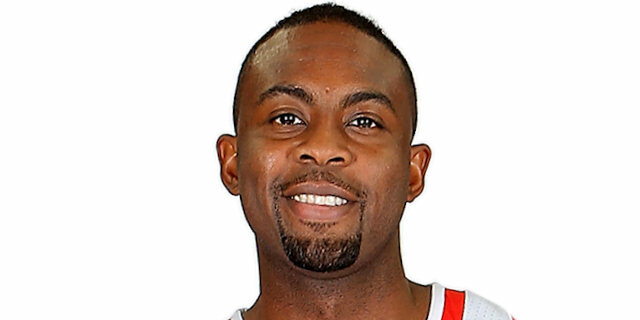 Kinsey scored off a steal that capped a 0-9 Nizhny run. Kariniauskas stepped up for Zalgiris with a three-pointer and Anderson dunked off the baseline to keep Zalgiris out of trouble at 52-33. 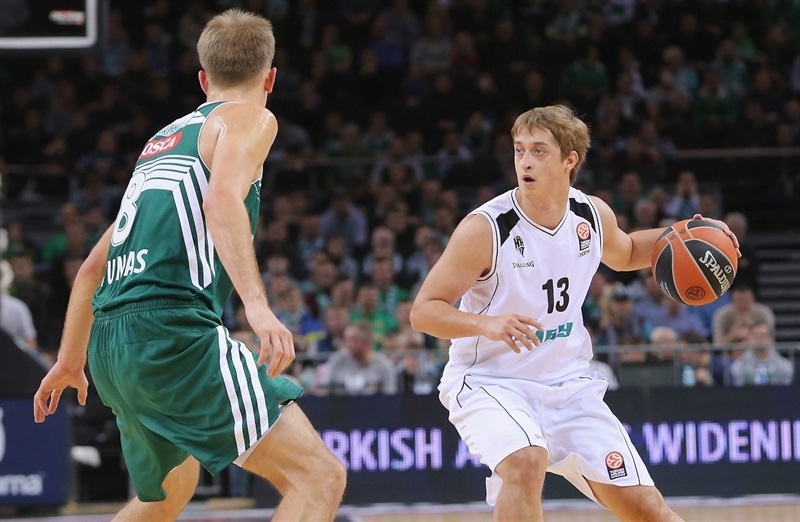 Kinsey scored again and a three-pointer by Thompkins brought Nizhny a bit closer, 52-38. 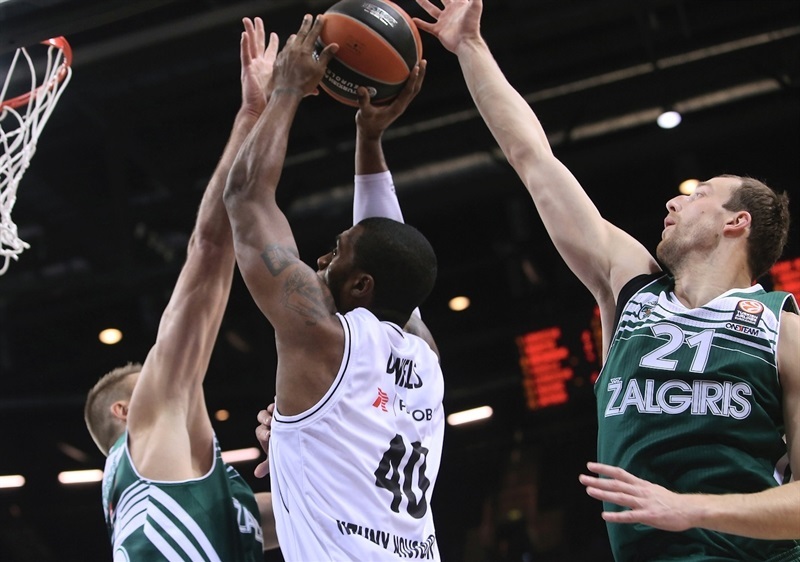 Anderson stayed on fire with a three-point play and a layup by Songaila restored Zalgiris’s control. Lukas Lekavicius swished a mid-range shot and Lipkevicius followed a bomb from downtown with a layup-plus-foul that seemed to seal the outcome at 65-38. Lipkevicius scored in penetration and a free throw by Milaknis made it a 30-point game. Javtokas and Milaknis boosted the hosts' lead to 75-42. Everything was essentially settled already, but both teams kept fighting for points. Rochestie sank a jumper and a layup by Ivan Savelyev brought Nizhny within 75-46. Lekavicius answered with a three-point play, but Daniels scored again. A free throw by Lipkevicius restored a 79-48 Zalgiris lead. The hosts had started to use longer possessions to run the game clock down. Gudaitis and Khvostov exchanged free throws and a triple by Rochestie got Nizhny a bit closer, 82-53. After a Gudaitis dunk, Rochestie hit an acrobatic shot and Ivlev added a follow-up layup, but it was already too little, too late for the guests. Nizhny suffered its first-ever Euroleague loss, while the Zalgiris fans celebrated a very important home win. 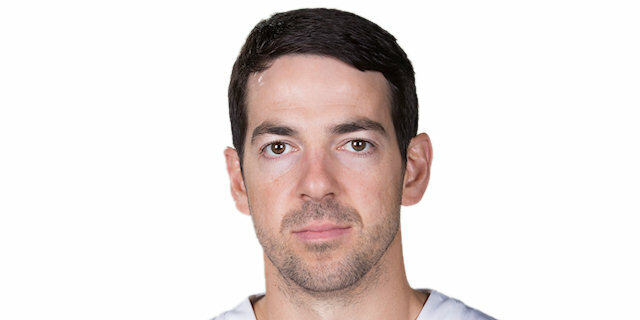 "I think I am happy; our game plan was great, we did really well, especially on defense. After all, we had more freedom to play offense, as the final result shows. 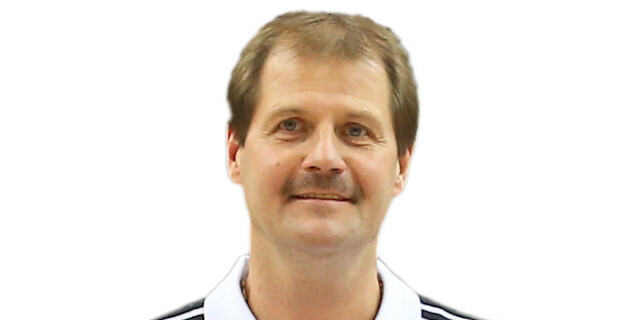 It is a real dream for a coach when you are playing a Euroleague game, in front of so many spectators, and you can let all 12 players step on court." "First of all, congratulations to Zalgiris for the win. I was worried about two things before the game. I wasn't worried about how Zalgiris would play. I was worried about its Euroleague experience and about the pressure here in the gym. Both things I was worried about played against us. We didn't have a bad start in the opening seven-eight minutes, but after that, Zalgiris destroyed us under the rims. They scored more than 60 points without any pressure. 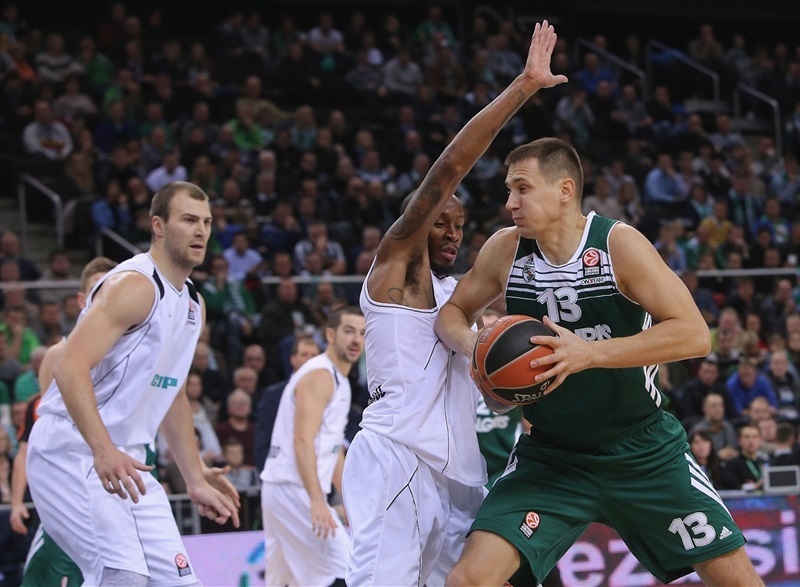 We tried to change things defensively, but Zalgiris immediately found open shots and scored. 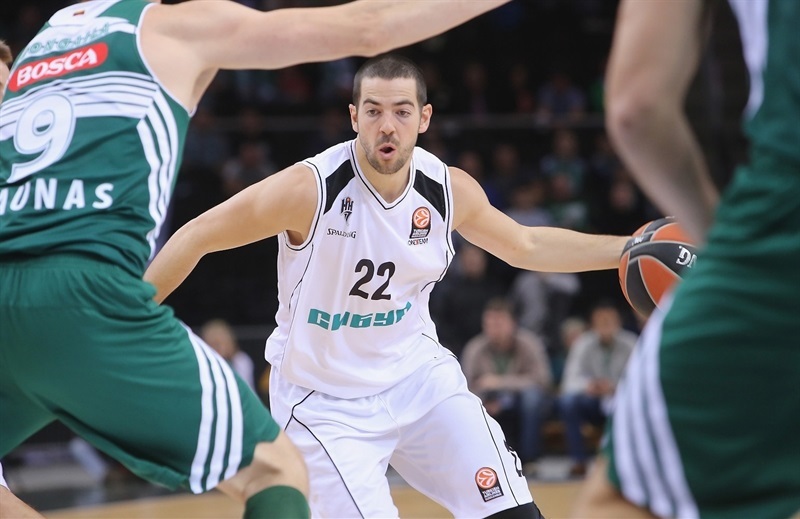 It is sad to say, but Zalgiris was much stronger than we were." "The game may have looked calm at first sight, but it wasn’t that easy. It is great that we managed to get a big lead and, more importantly, to have kept it and increased it. Also, it was nice that all 12 players could get on the court tonight and all 12 contributed to this nice win." "We came out with great energy and followed our game plan. We executed it throughout the whole game. It felt great to play in front of our home crowd, with the whole gym on our side. It kept us going and got us into the game." "Of course, it is frustrating. You know, when you lose, you do not want to lose like this. But at the end of the day, a loss is a loss there if by one or 30, 40 points. So we've just got to show that this was a mistake on our part and that we are not going to take a step down as a team. You know, they are a tough team. It is the first time we played a big team on the road and we must learn from our mistakes."